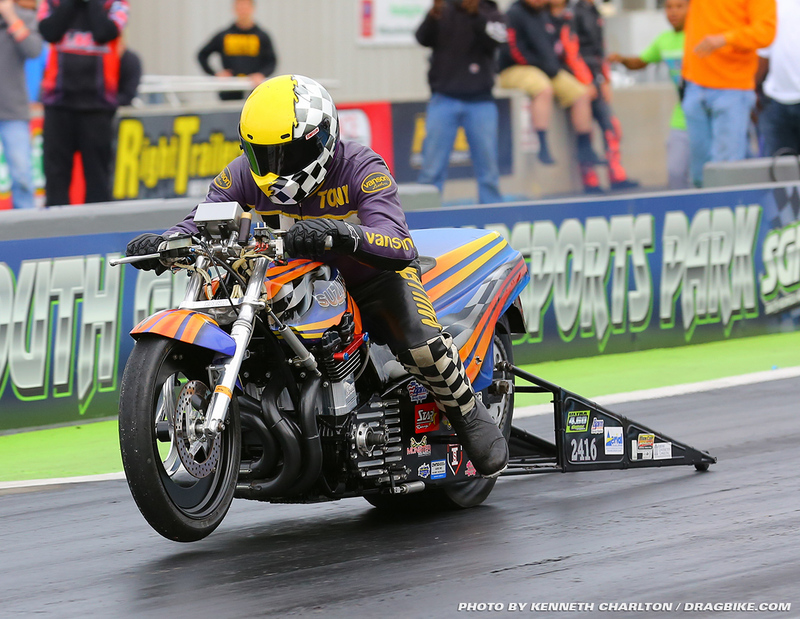 The Man Cup motorcycle drag racing sanction has begun preparations for the DME Racing Nationals to be held June 2-3 at Rockingham Dragway. The facility is home to where last year, Larry “Spiderman” McBride stopped the Rockingham Dragway MPH clocks at a historic 255.29 MPH speed! That my friends was the fastest pass ever recorded by a drag bike in motorcycle drag racing history as of September 24, 2017. McBride then went on to defeat Sam Wills in the Pingel Top Fuel class final round, to add to his championship points total lead on his way to the 2017 championship. Early arrivals may enter the facilities on Thursday, between the hours of 4PM and 8PM. Anyone seeking to book a room for this event is encouraged to contact the Hampton Inn & Suites, Southern Pines-Pinehurst. There is a discount group rate for the Man Cup event attendees, just call 910-693-4330 and mention you are with the Man Cup organization to qualify for the group rate. This year, for this race, the action will begin on Friday, June 1st, with the annual pre-event, tune & test day. The pit gates will open at 9am with on track action to be available to racers as of 12 noon, through 7PM. Friday is strictly a test and tune day only for racers who wish to do so. Racers from all sanctions are welcome at Man Cup events. In Pingel Top Fuel class racing, at the Spring Cup season-opening event, Dave Vantine defeated Larry McBride for Dave’s first win of the season and the points championship lead. He is currently 19 points ahead of The Spiderman who loves racing at Rockingham Dragway. 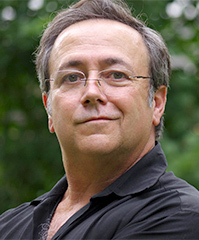 Dave will need his “A game” to hold off Larry McBride, who indecently is making Dave’s next Tio Fuel bike. Anyone interested in buying Dave Vantine’s proven 55-second-machine can do so and take delivery at the conclusion of the 2018 Man Cup World Finals event. 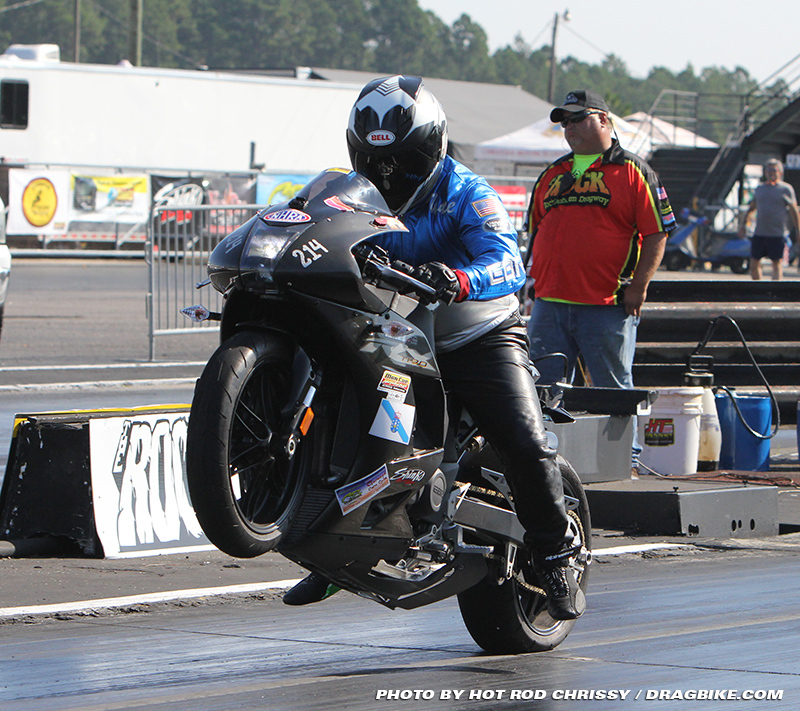 In Orangeburg Cycles Racing Pro Fuel class, the long and short of it is, Preston Bartlett is the current #1 plate holder and he will be tough to beat this year with Walter Halonski tuning with him. Together they cornered their first championship in 2017 and for the opening round of Man Cup racing in 2018, they won the first event over Sam White 7.43 to 7.76 and they are ready to defend their title. Other Pro Fuel champions like Kirby Apathy, and Janette Thornley will definitely challenge them this year but only the W counts at the end of the race day. This should be a strong class for Man Cup at the Rockingham race. Falicon Pro Mod: Ashley Owens defeated Eric McKinney at the Spring Cup opening event, so Ashley has the points lead by 19 points. His consistent 4.0 runs will be tough to beat, but this is drag racing and anything can happen on race day. It will be interesting to see with tough guys like Jeff House, Shane Eperjesi, Connell Smith and Tyron Lemons in the mix; race day is a tough day. Nitrous Express Pro Open at The Rock will host an interesting battle with veteran Rick Perry now in the points lead. His defeat of Jean Gosslin at the Spring Cup was a big one for the cagey veteran and he now has to hold on to his points lead with four races remaining in the Man Cup Series. Conspicuous by his absence, Man Cup Pro Open #1 plate holder Mark Rendeluk sold his championship bike during the off-season and he’s in the process of getting into another ride at this time. So while he’s out, now is the time for Pro Open racers to gain a point lead over the toughest racer in Pro Open history. APE Pro Street at this Man Cup event should be outstanding. The title sponsor for the event, DME has the quickest and fastest Pro Street motorcycles on the planet once again and it will take a Herculean effort to hold off their stable of racers at Rockingham. 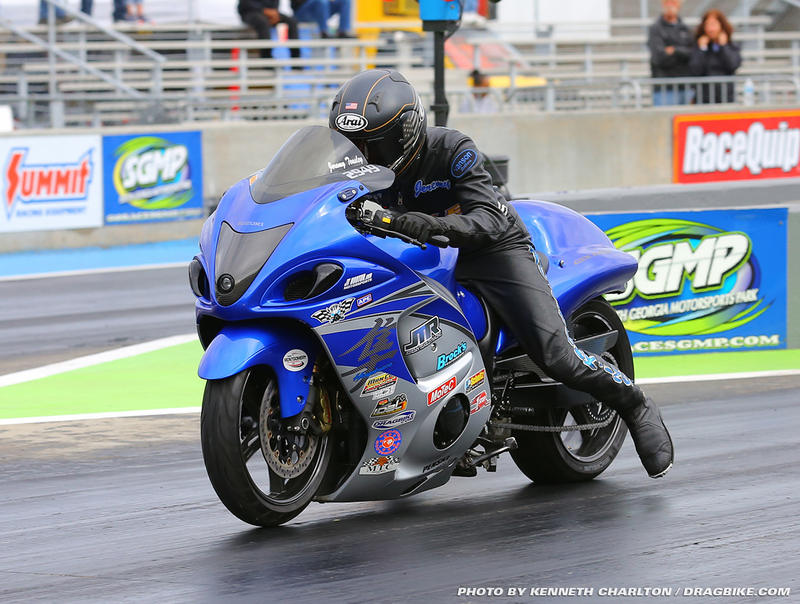 Jeremy Teasley defeated Rickey Gadson during the Spring Cup race and has since shown he is ready to bring Pro Street racing to the next level. 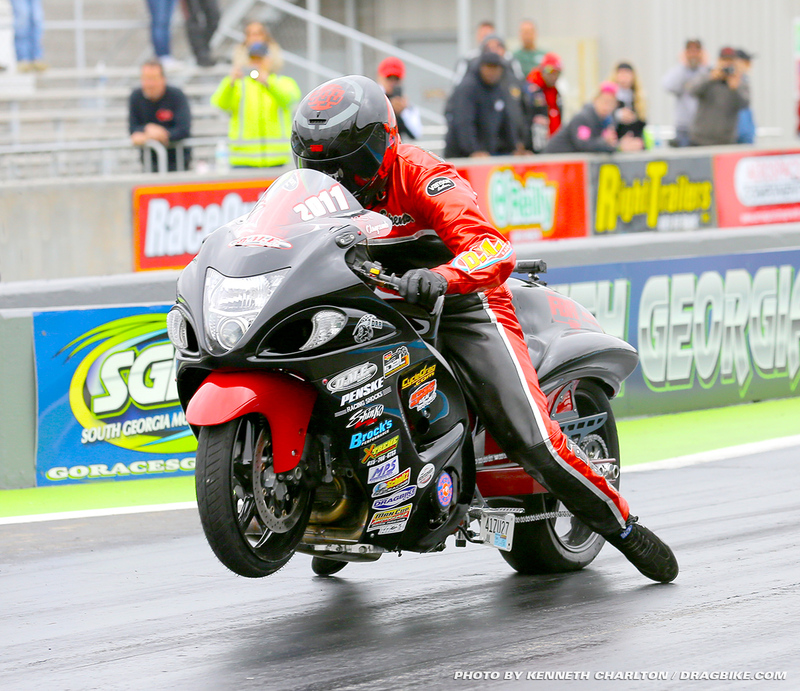 An all-star cast of Pro Street motorcycles is expected at Rockingham, so bring your cameras and get ready, the bikes will be set on kill all weekend. Shinko / WPS Real Street at Rockingham may just be record setting on a world-class level. Johnny Dobrin and Spencer Claycomb matched up in the final round of the Spring Cup, with Johnny taking the win. So while Johnny Turbo has the points lead, Spencer has found new power and he’s ready to show Johnny his tail-light come race day. Jason Herron, Bud Harrod, Jason Fernandez and Marcus Hylton are all ready to enter the fray as well – but all eyes will be on Spencer and Johnny Turbo to set the pace at the Rockingham race. Grothus Ultra 4.60 at the DME Racing Nationals at Rockingham should be ultra tough with #1 plate holder Tony Mullen already in championship form this year. Tony and his twin brother Jimmy Mullen won the Spring Cup opening event and coming off a championship year, that’s momentum that’s tough to beat. Broderick “Hollywood” Jackson was the runner-up last race, so he’s national #2 going into the DME Racing Nationals. 4.60 class will be fast and furious all weekend. The Star Power sponsored Top Gas class at the Rock will see the return of Super Star Ricardo Marte. 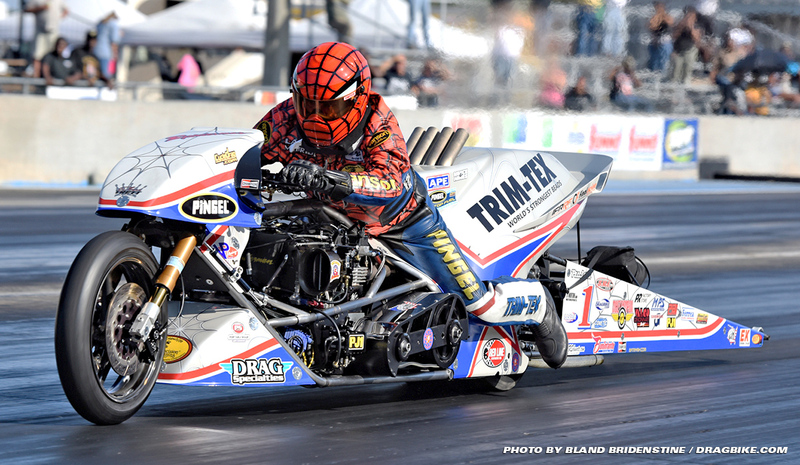 In Star Racing Top Gas competition during the Spring Cup event, it was Ricardo Marte and Sam Hurwitz battling through the masses to meet up in the final round. 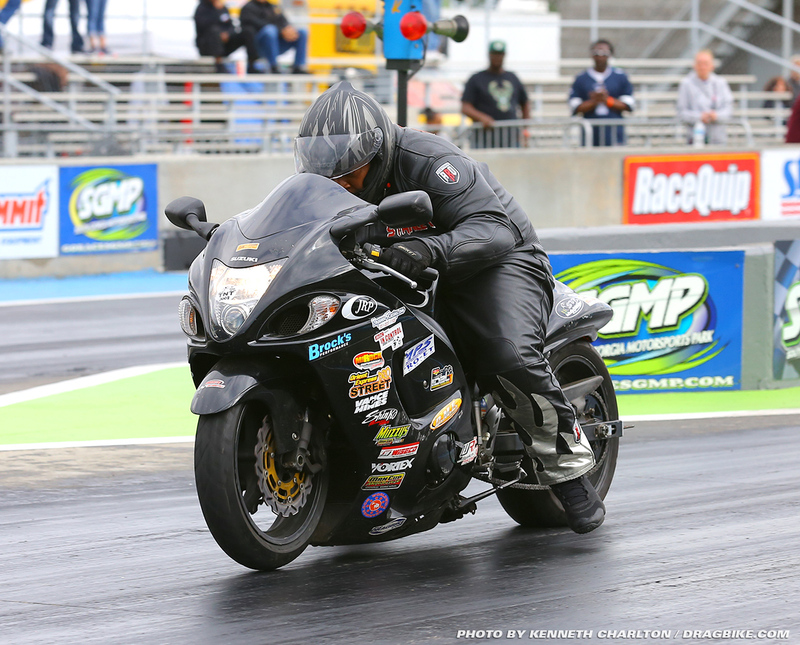 Mr. Ricardo Marte took out #1 qualifier Jeremy Teasley in semi-finals to match up with ex-NHRA Pro Stock motorcycle racer Sam Hurwitz in the final matchup. Sam strapped a .009 RT light on Ricardo, who responded with an .044 RT, then at the stripe on the big end, Sam’s 8.264 was not enough to beat Ricardo’s 8.213 and that was all for Sam Hurwitz. Ricardo won big at the Man Cup opening event in two classes. At Rockingham Dragway, the MTC Super Comp action will be excellent. 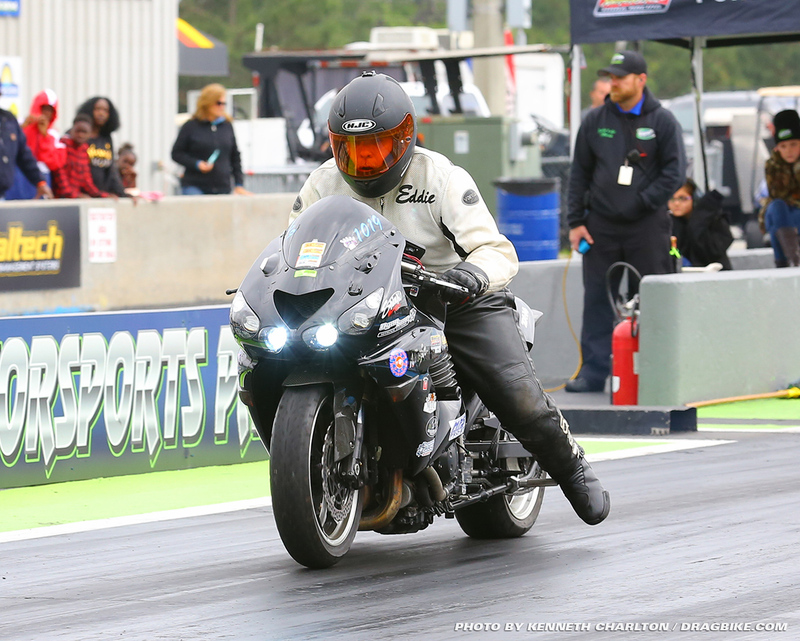 At the last event, the MTC Super Comp racing during the Spring Cup was tight with Jeremy Teasley showing his mad skills as a drag bike pilot by not only taking the win in APE Pro Street, but in MTC Super Comp as well. Jeremy defeated Shawn Welch in the final round ofSuper Comp. Shawn broke-out, 8.85 to 8.93 on the 8.90 index, giving Jeremy the win and the championship points lead going into the DME Racing nationals. MTC Super Comp class racing has quite the list of heavy hitters in the ranks with racers like Dusty Brazel, Randy Smith, John Upthegrove, Dan Harvey and many others. There is no question the racing will be intense at The Rock. World Wide Bearings Crazy 8’s at the DME Racing Nationals should be interesting. 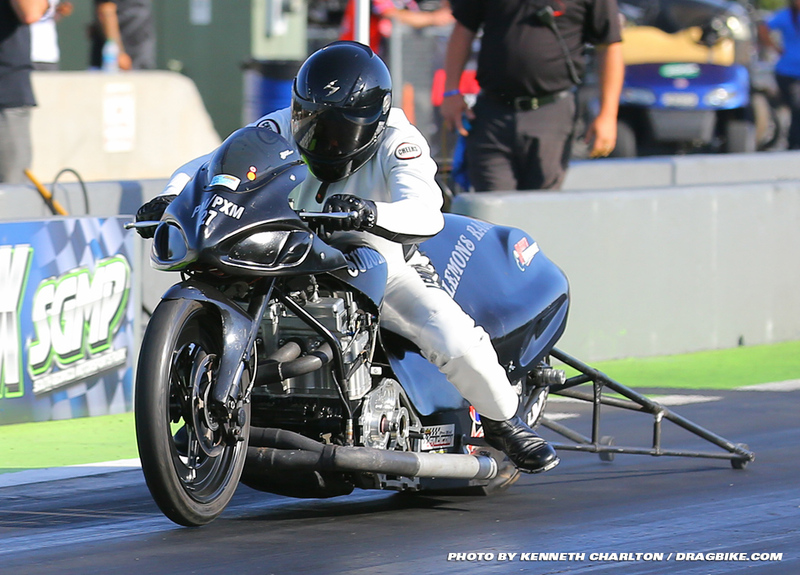 In the final round of racing at the Spring cup, veteran motorcycle drag racer Eddie Doherty took out Dusty Brazel and there is no doubt these two want a re-match. Dusty is a very intense competitor and Eddie has been winning motorcycle drag races since the 1980’s and knows every trick in the book. If these two can get side by side at Rockingham, head for the fence-line and pick a lane! The 9.5 index class known as Wiseco Street Fighter will be racing worth watching when they fire up at the DME Racing Nationals. The final round battle between Roy Johnson and Stanley Russell at the Spring Cup was worth the price of admission! Roy is the cagey veteran and Stanley the bad-boy who will not let-up. Stanley races like a pit-bull fights; there is no quitting, he’s going to hang on and never let up. They went wheel to wheel at the Spring Cup and Roy won by about a wheel at the finish line. Racers and fans can expect the same this race. With four races still to unfold this year, there is no telling who will get the #1 plate come season’s end, but keep your eye on Stanley Russell, he’s a top contender in a big way. If you look back at the Vance & Hines V-Twin racing at the Spring Cup, there was a stout battle between two good buddies who have duked it many times before, Vance Houdyshell and Don Horta. In the final round of racing, it was Don Horta who got the better of Vance who is defending his #1 plate from the 2017 season. Vance is THE man to beat, if anyone wants to win in this class. Vance Houdyshell works his tale-off to lead this class of racing and when anyone can get a leg-up on him, that’s a major accomplishment. If Don Horta can do it two races in a row, beware the raging bull! MPS Racing Pro ET racing is always interesting at all the Man Cup events. There are so many racers who enter it is seriously anyone’s race to win. At the Spring Cup event in April of 2018, Harvey Hubbard and Ricardo Marte headed into the final round. 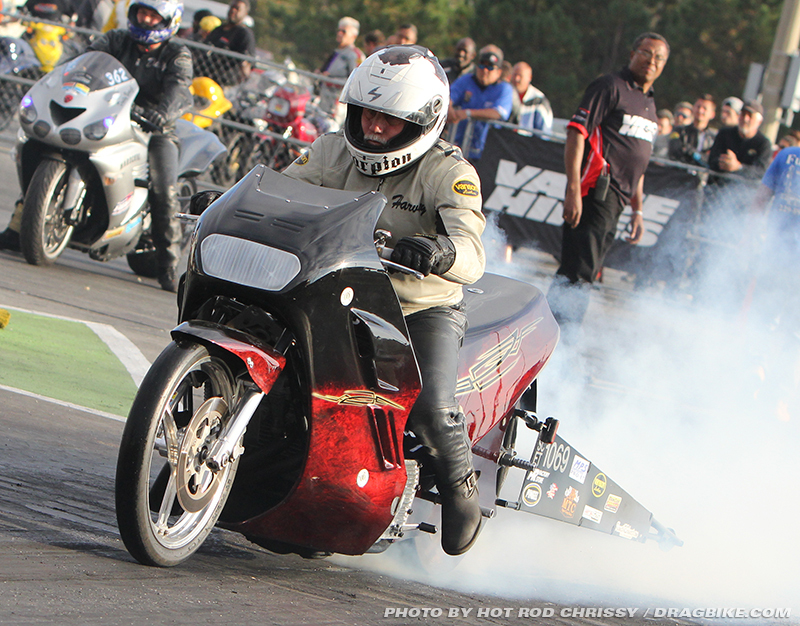 Unfortunately, Harvey Hubbard’s drag bike broke, sending Ricardo Marte into the winner’s circle for his second win of the event. It was not the way these two racers wanted the day to end, but yes this is drag racing and well, racing happens. If they get a chance to meet up at Rockingham, I’m sure they’d like to settle the score on the race track. C&S Custom Street ET racers take note: long time Man Cup motorcycle drag racer Manny “Taco” Carrasquillo has upped the ante for Street ET racers. Manny “the Flyin Taco” of Economy Glass and mirror fame, has decided to put up a bonus for C&S Custom Street ET racers. There is a $300.00 cash bonus available from “The Taco” for a true Harley Davidson or Sportster based Buell motorcycle, if they win in C&S Custom Street ET. Way back then, during the 2011, World Finals, the Taco waded through the massive Street ET field to take the event win on his Harley Davidson V-Rod. And since then, no Harley rider has been able to match that feat. Taco is looking forward to the Rock and hopes somebody lightens his wallet before the weekend is over by winning the C&S Custom Street ET class in similar fashion. If they do Manny will up the ante by donating $300 of his own cash, for matching his accomplishment from 2011. C&S Custom Street ET at the Rock will ROCK! 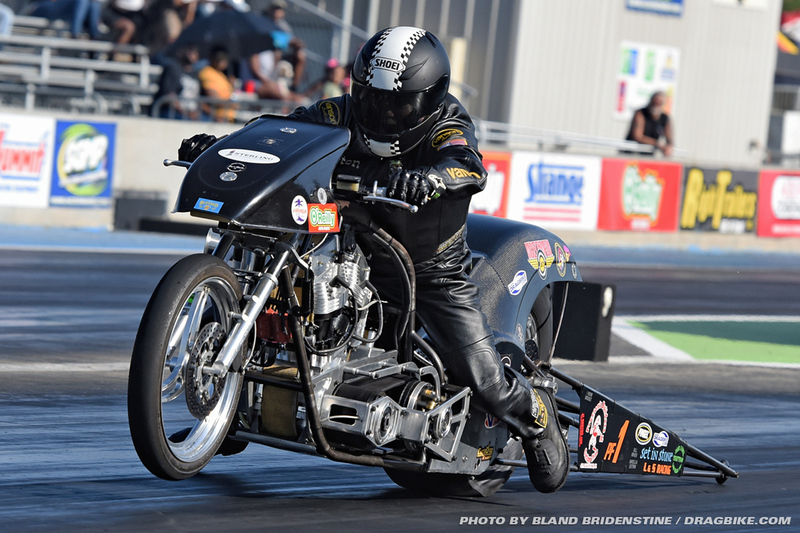 About Man Cup Motorcycle Drag Racing : Headquartered in Safety Harbor, Florida, Man Cup motorcycle drag racing is North America’s largest professional motorcycle drag racing sanctioning body. 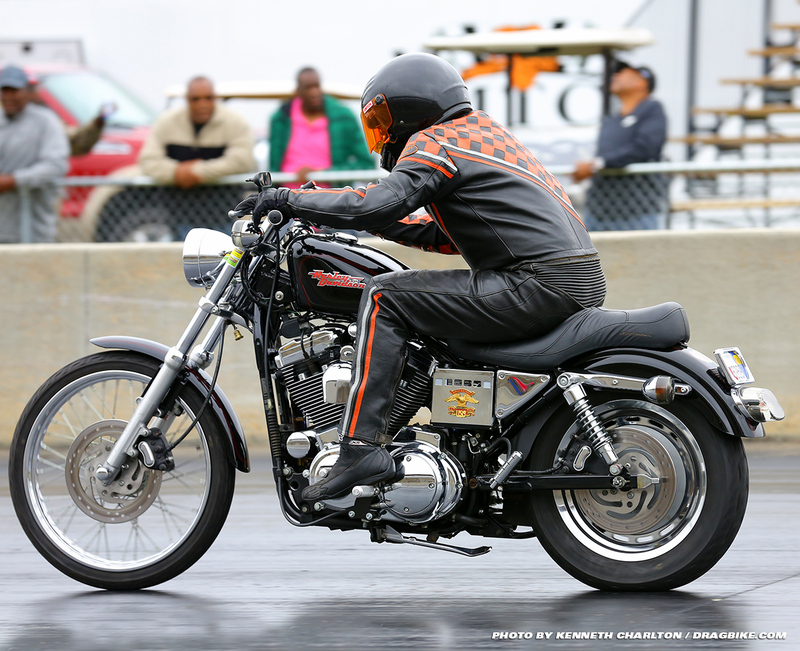 Man Cup promotes motorcycle drag racing on a national event basis for professional, sportsman and ET bracket racers alike and is open to riders of all skill and experience levels. 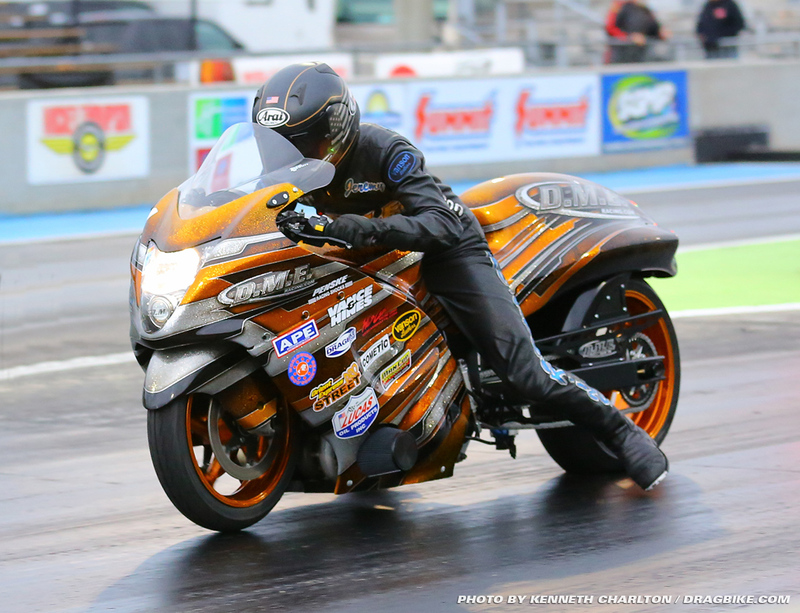 The Man Cup Series is the only national event style motorcycle drag racing series comprised of events throughout the eastern half of the United States. 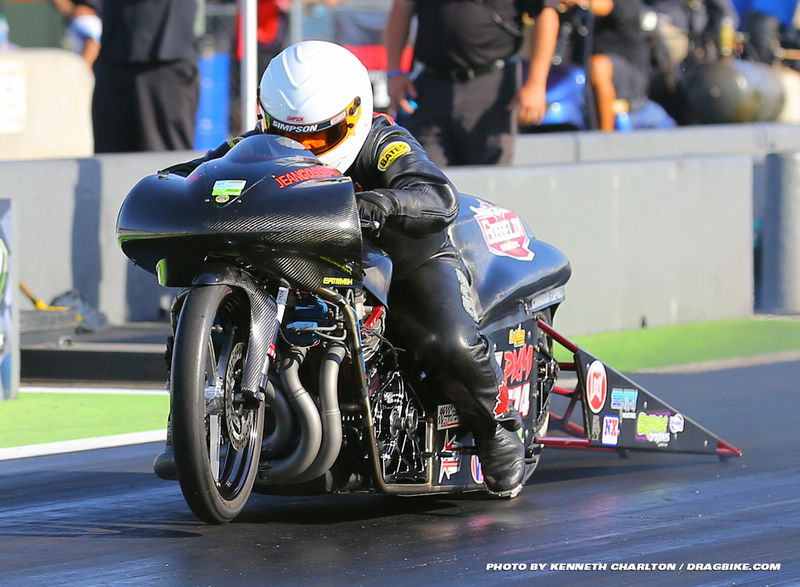 For marketing opportunities with the Man Cup as well as more information on Man Cup Motorcycle Drag Racing, please visit www.mancup.info on the web or 7 2 7 – 7 4 2 – 5 2 4 5 voice/text.